Super Treasure Arena is a buy-to-play fantasy action game developed by Vennril for PC and Mac and is available for purchase on Steam Early Access. 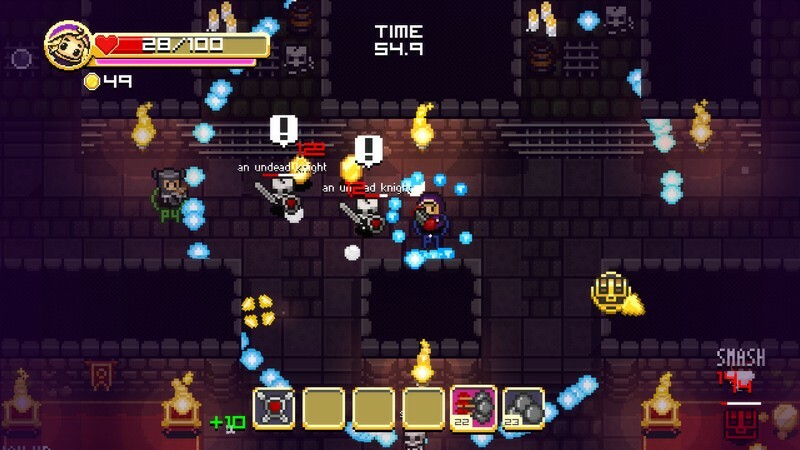 Super Treasure Arena mixes the concepts of both retro arcade action games and objective-based arena shooters to become a game all of its own where players will fight against each other in frantic matches to steal each others coins! 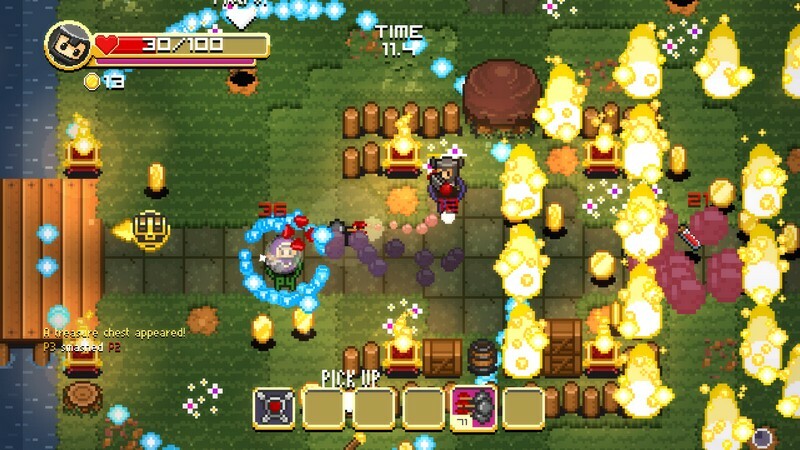 Weapons, trickery, and outright beating the coins out of your opponents are all encouraged if you want to ensure your place at the top of the rankings! 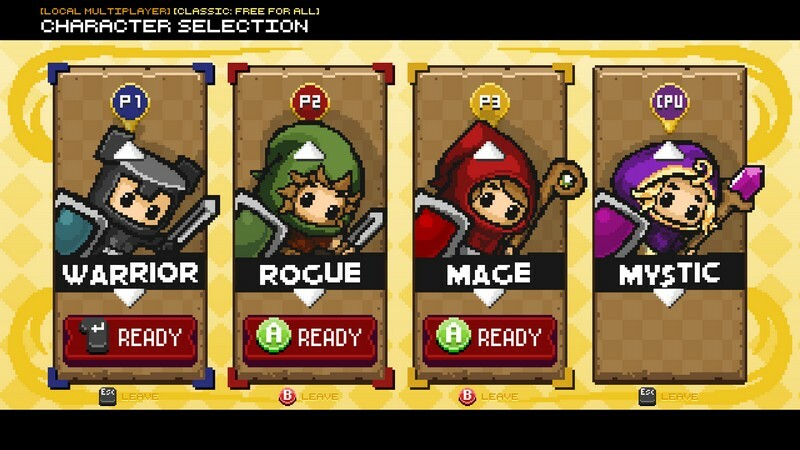 Classes: Enter the arena as a Warrior, Ninja, Mage, Rogue, or Mystic and use your classes' unique abilities to help you gather as many coins as you can. 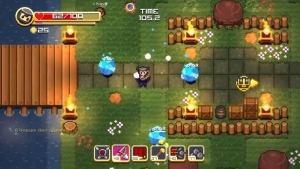 Multiplayer Choices: Play online against other players, battle against AI-controlled bots, play locally against your friends via split-screen, or play in a combination of the three. 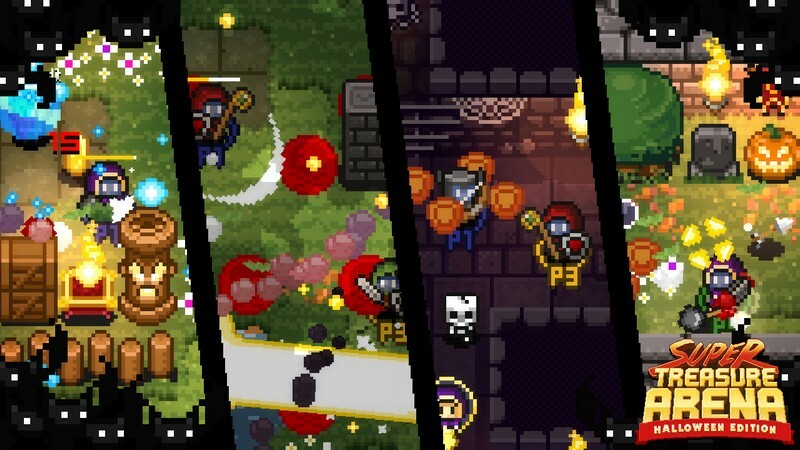 Classic Mode: Collect coins from treasure chests, monsters, and bash them out of your opponents so you can finish the game with the most coins possible. 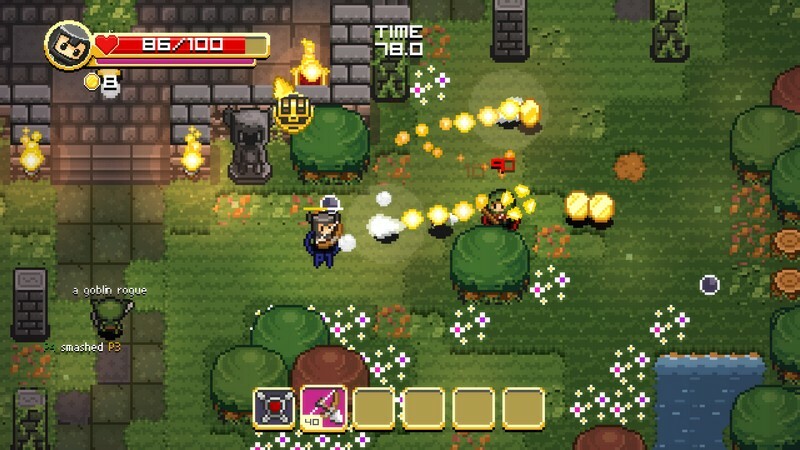 Treasure Run Mode: Race back to your base with a treasure chest full of coins, trying to stay alive along the way. Bury your relationships and console yourself with treasure instead! That's the goal of Super Treasure Arena! 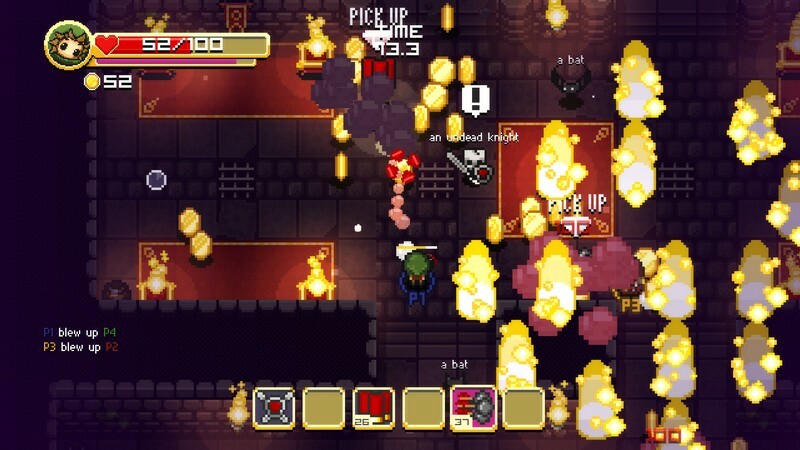 Four player money-grabbing action awaits!